If you are a regular reader of the blog, you’ll know how much I love wall décor and wall art. I’m a huge fan of adorning my walls with personal photos and images as well as creating wall collages to add something colourful, stylish and personal to my walls. I even have a whole Pinterest board dedicated to wall art. Photobox got in touch recently and asked me if I’d like to review one of their products from their vast range. Of course I jumped at the chance and started looking around at what recent photos I had and where I might like to put it in the house. You’ve probably seen me talking about how I’m giving the kitchen a mini retro makeover at the moment, so I thought it would be a great idea to add some new interest to the walls with a stylish piece from Photobox. I decided to take a look at the acrylic prints from the wall decor section. I’ve never had one in the house before but had seen them in friends’ homes and think they look superb; very contemporary with lots of impact. Where I can I like to co-ordinate the colours of any print or photo with the colour scheme in that particular room. It’s just something I like to do! Although it can make it trickier if I want to rearrange pictures from room to room of course. This time I had the perfect picture in mind for the acrylic print from our recent family holiday in South Devon. This picture is a true favourite where I managed to catch the rest of the family all sat on a wall looking out to see. They are spaced out beautifully and were actually having quite a moment together so it’s lovely to be able to commemorate it by having it up on the wall for everyone to see. 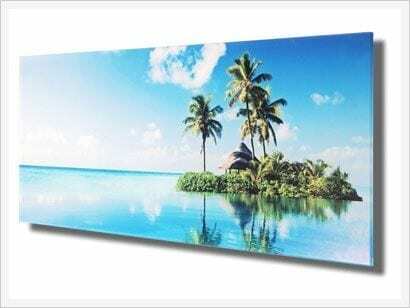 Photobox Acrylic Prints come in 3 different shapes and many different sizes; Square, Panoramic and Rectangle. My chosen Acrylic print is a Rectangle at 60cms x 40cms and is truly stunning. The colours and quality of the print is top notch, although you do have to ensure you upload a good quality photo in the first place of course. What I like about Photobox is that the website does tell you if the image is good enough or not according to the size of your chosen product. 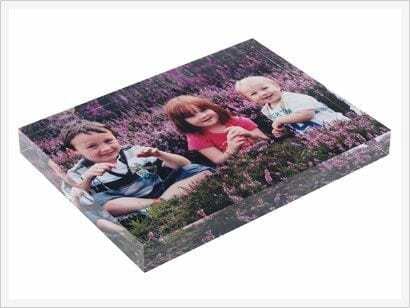 The photograph is printed on 249gsm Gloss Pro Paper and mounted on 6mm thick polished acrylic. My chosen shape and size cost £69.99 and I couldn’t be happier with it. If you love putting up your favourite family photograps on your walls, here are some of my tips for getting the best from them. Always ensure the product, canvas or print fills the space properly. If in doubt go for something bigger rather than smaller. If you use something too small it will look lost in the space. If you’re not sure how something will look on the wall, create a ‘template’ from newspaper in the correct size and tack it to the wall. 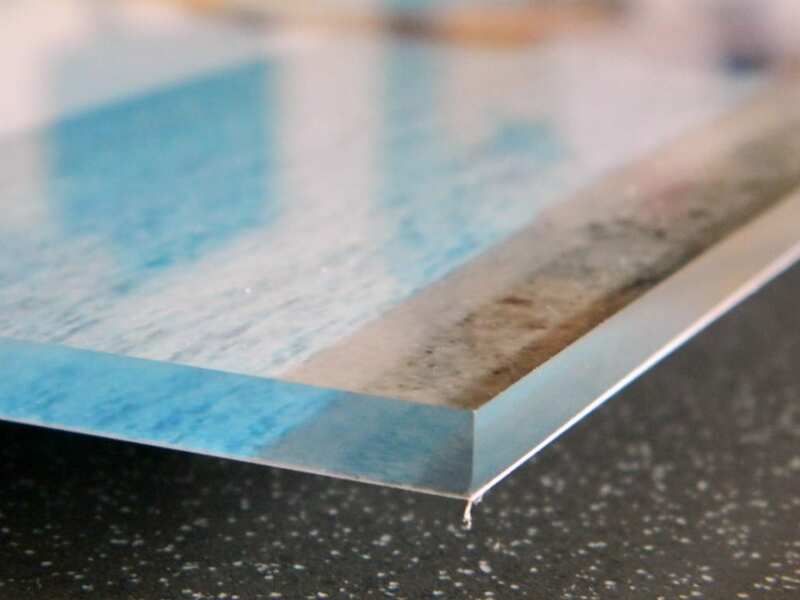 This will give you a great idea if your canvas or print is going to fill the space properly. If your image doesn’t work on the larger size prints but you have a big wall to fill, think about using several smaller images printed up to create a mini collage or display. Three smaller canvases will have more impact that one small or medium image. So if you like the look of the acrylic print maybe you’d like to enter our giveaway to win a fabulous Acrylic block decor piece ideal for your desk or mantlepiece. And if you’ve started your Christmas shopping then this would make a fantastic gift. Just order with your favourite photo. The block comes in 2 sizes; A6 at £25.99 and A5 at £35.99. 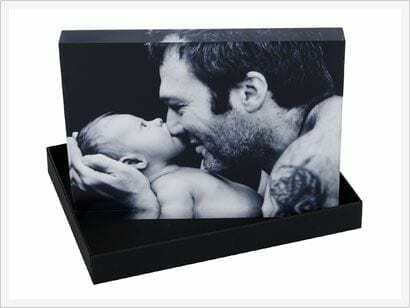 The prize is a Photo Acrylic Block from Photobox worth upto £35.99. There is no cash alternative. Next Post The Cosmo Blog Awards – Best Interiors Blog – Winner! I have tweeted too, lovely prize! Tweeted. 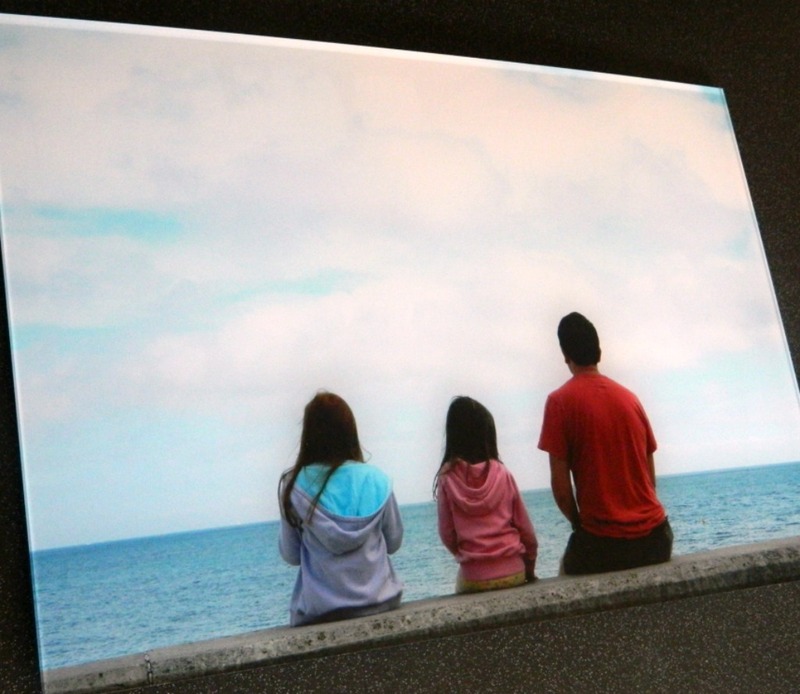 I have three large acrylic prints from Photobox already and they really are fab. Love the finish. I’ve tweeted, @JudeVFR400. That looks a great product. tweeted as bev_metallica – thank you! I’ve done the deed here…..
Have tweeted. Lovely lovely prize. and have the perfect photo in mind. Retweeted @BoudeccaEtsy. Good Luck everyone.